You can depend on us every week. 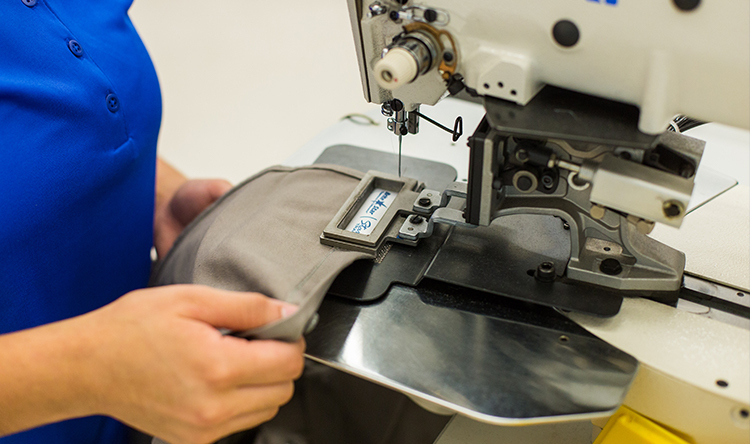 Brite Star values the investment our customers make in their uniform program. For most of our customers, a uniform is a necessary part of their business operations. We hold ourselves accountable each week to ensure all of the uniforms we process are returned. This is how we do it. At Brite Star we install a Star Track system in every uniform. This technology allows us to do what many others find difficult – track every uniform that comes in and out of our facility. With access to this technology, we are able to easily and quickly track the location of every uniform. 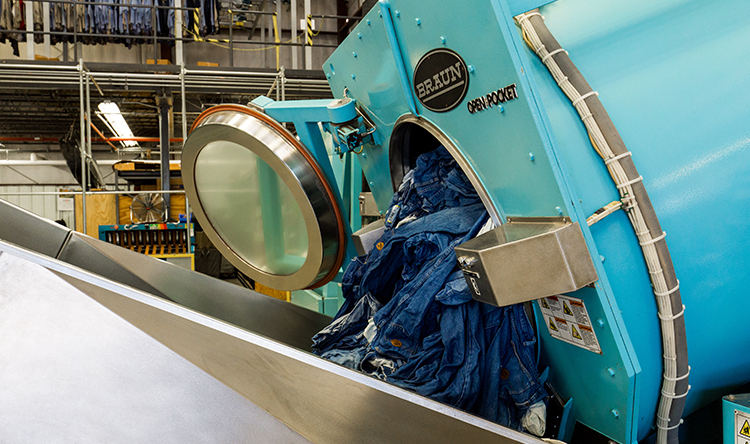 Dirty uniforms are rolled straight off our delivery trucks into an RFID portal, allowing us to scan everything that comes into our plant with 100% accuracy before the uniforms are handled. This is the start of the weekly Star Track uniform tracking process. Everything that is scanned in must go back to our customers the following delivery. 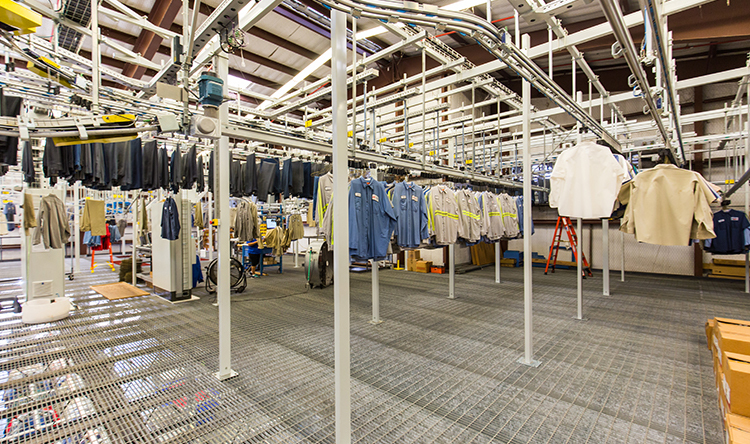 After sorted by fabric type, dirty uniforms are processed in our state of the art automated wash aisle. Executive and embroidered logo wear are washed and pressed separately in our dedicated retail laundry and dry cleaners. Once finished, all uniforms are off to the next step. 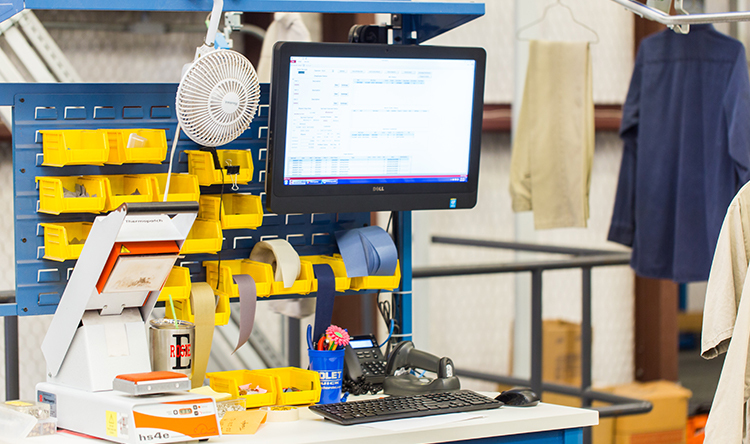 Once on a hanger, uniforms are placed on a conveyor and enter our fully automated sorting system. From here, the computer takes over and routes the uniforms everywhere they need to go. There are many ways to flag uniforms to be repaired, including a repair app available for your phone. About 90% of the repairs we complete are discovered and flagged by our teams in the dirty uniform sorting and finishing lines. 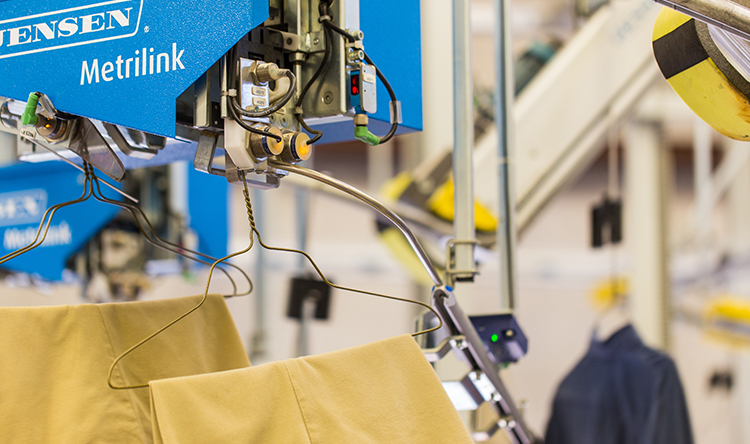 Once flagged, the automation system kicks the uniforms out at the designated repair station and tracks it through the process. 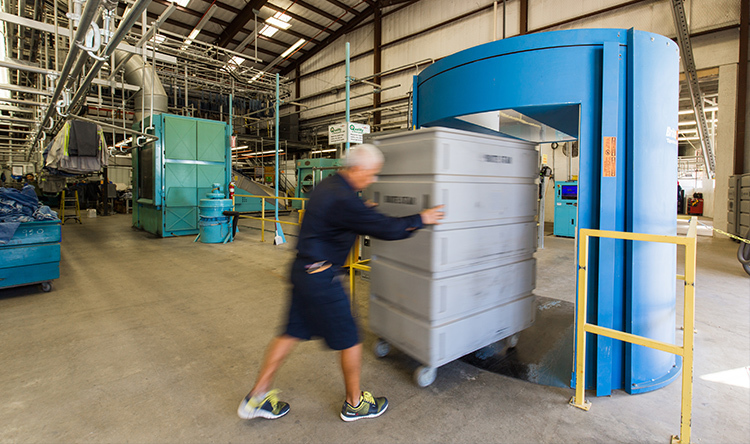 Brite Star was the second company in the world to utilize Ultra High Frequency RFID technology and fully automated sorting, the first being Walt Disney World. With our ability to sort with 100% accuracy and track everything along the way, we have been ahead of the competition ever since. This ensures our customers have the best experience every week. Any company can buy a bunch of fancy tracking equipment and automation systems. At Brite Star, we have chosen to be different and hold ourselves accountable. 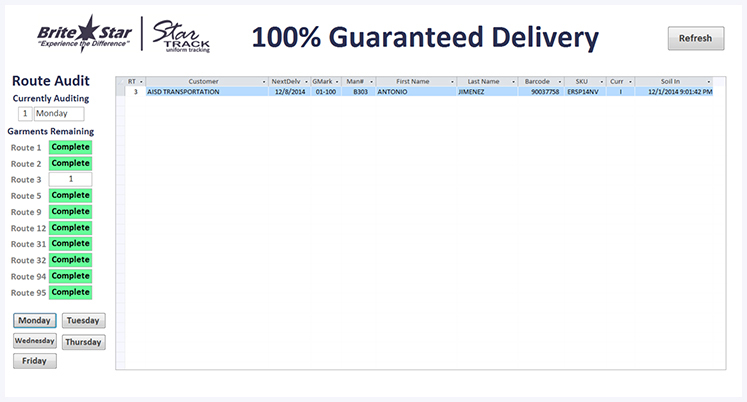 We use our exclusive Star Track Guaranteed Delivery System to ensure every uniform that came in is out for delivery. If a missing garment got hung up in rewash or repairs, we find it to make the order complete. If for any reason we can’t find a uniform, we replace it at our cost before the route leaves.